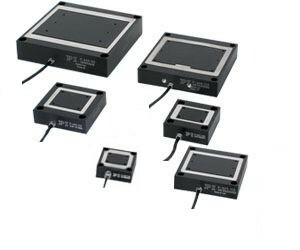 Single-axis PIHera® systems are piezo-nanopositioning stages featuring travel ranges from 50 to 1800 μm. Despite the increased travel ranges, the units are extremely compact and provide rapid response and high guiding precision. This and the long travel range is achieved with a friction-free and extremely stiff flexure system.